Today there is a wide selection of flat screen TVs for sale for at or under $500. Whether you are in the market for an HDTV for the first time, or just looking to get a second one without spending too much, the good news is there are plenty of models available for $500 or less. While at the lower price point one cannot expect the "best HDTV of all time", it is my hope that you will find a real value on this Wizzley page of HDTVs selling for less than $500. Many options in the neighborhood of 32-inch screens. A wide array of manufacturers offering TVs under $500. Respected brands like Samsung, LG, and Sony. What Is the Biggest Screen Available under $500? If you measure the value of your purchase by the size of item you are getting, you will probably be most interested in the 43-inch Samsung, which features a 720p plasma screen. If resolution trumps size for you you, LG offers a slightly smaller 42-inch model, with 1080p output. What Is the Cheapest HDTV Available? I do not typically like to "low ball" my shopping choices. The fact is, buying cheap can often mean buying poor quality. That said, picking up an HDTV for under $200 sounds like an atractive idea. At this writing, there are multiple HDTVs available on Amazon.com for less than $200. For example, iSymphony offers a 19-inch, 720p model. If you are in the market for a TV that does not cost a lot, it is good to know you have options under $200. What Is the Coolest HDTV for under $500? Personally, I like the Sony Bravia KDL32BX420 32-Inch 1080p LCD HDTV. Most attractive is that you get the Sony name when you buy this TV. Known for innovation and a long history in bringing quality consumer electronics to the marketplace, Sony is a nice name plate to have on the front of your HDTV. USB port for enjoying various media. Five HD inputs, including two HDMI inputs. A nice light sensor feature that measures the light in the room and adjusts picture brightness. Convenient pre-programmed picture and audio settings. What Is the Best Value in HDTVs under $500? For me, the best value is a television that I would just love to have -- one with a nice interface for programming sound and picture, and one with a range of capabilities. It is also important to get a brand I trust. Intelligent Sensor picture optimization -- a brightness adjustment feature. LG's Picture Wizard II, which self-calibrates for the best picture. It is good to know there are a number of ways to go when shopping for a good value in HDTVs. 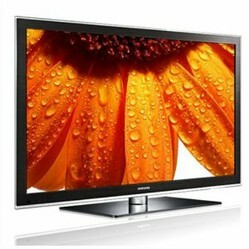 I hope you found this page a help as you shop for a good, low-cost HDTV.